The whole process of producing kadalai mittairequires six machines, including peanut roasters, peanut peelers, sugar melting pots, mixer, molding machines and packaging machines. 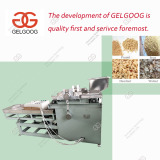 The whole process is continuous and has an efficient and fast production line. The outside of the machine is made of 304 stainless steel. 1. All parts that come into contact with food are non-toxic materials that are resistant to oil and heat. 2. 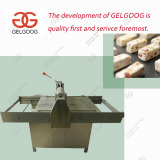 The final cut shape can be customized according to the needs of the customer. 3. 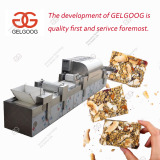 Mechanical pressing or rubbing, no damage to nuts, no waste. 4. 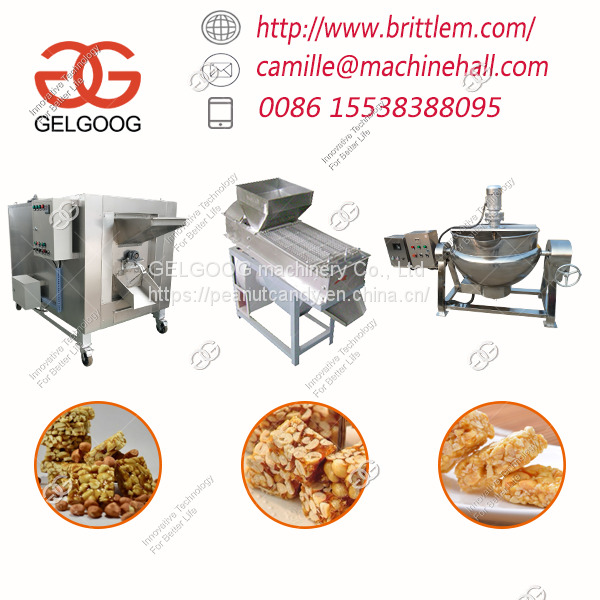 Mechanical drive, high-precision positioning, the upper and the negative mold closely match, so that the peanut candy is finally formed. 1. Advanced testing means to ensure that the last machine to the customer is brand new and easy to operate. 2. We have professional technicians to do machine design and have strong technical support. 3. We strictly control and choose materials; we can guarantee first-class quality. 4. Fully self-manufactured and installed, the machine is factory-priced, ensuring that the machine is cost-effective. 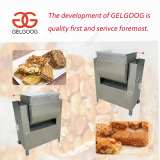 1.Roaster machine: directly eat roasted peanut rolls continuously rotating. 2. 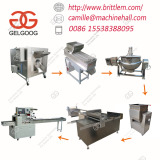 Peeling machine: We have two kinds of machines, dry peeling machine and wet peeling machine. Here we use a dry peeler. 3. 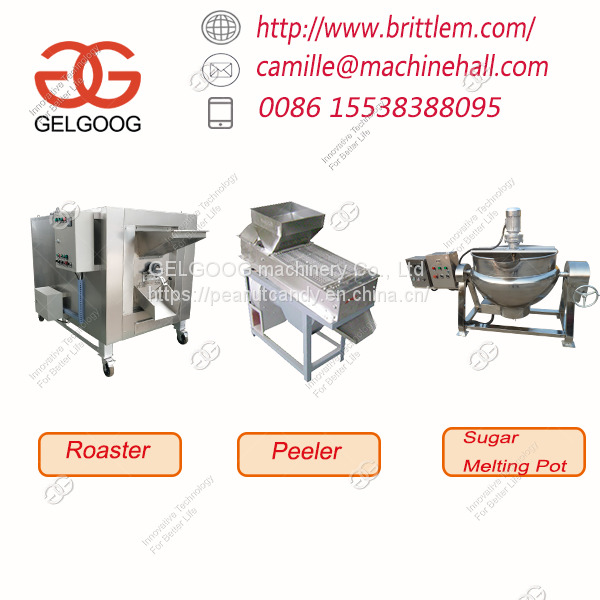 Sugar Melting Pot: It is used to melt the granular sugar into a paste. Used to mix raw nuts and crops together to make peanut sticks. 4. 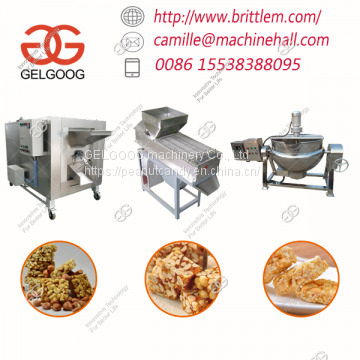 Mixer: Mix the sugar and raw materials evenly. 5. 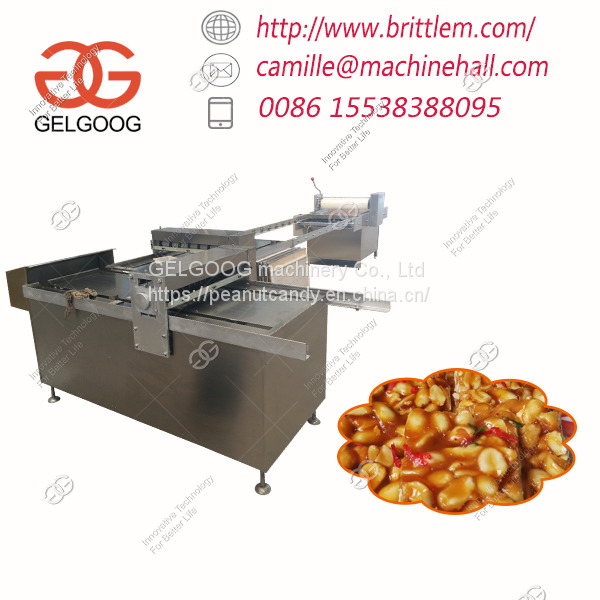 Cutting machine: Make the shape peanuts you need crispy, can be cut into different sizes of peanut candy according to the needs of the manufacturer. 6. 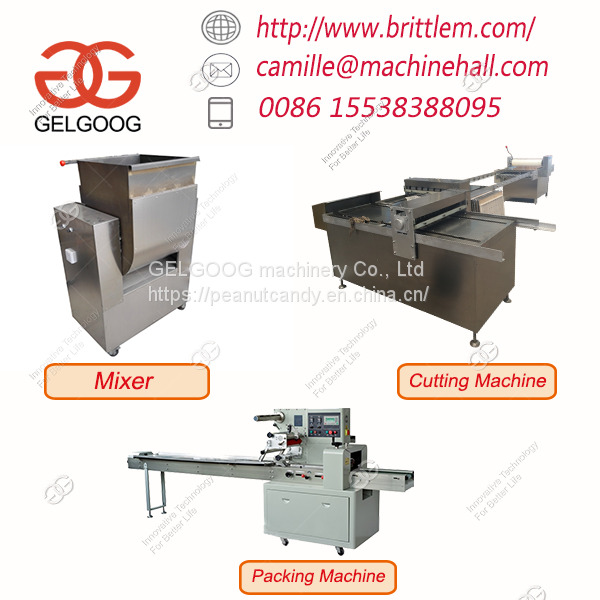 Packaging machine: It is used to put the final product into a small bag. 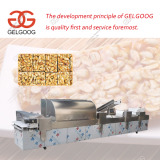 Continuous packaging, production line, final packaging effect, packaging machine for multi-purpose use.